A glazing only option suitable for refurbishment projects where only the glazing needs replaced. Mardome Reflex is supplied with a fixing kit including weathertight washers and cover plugs. Mardome Reflex is available in single, double and triple skin polycarbonation glazed units. 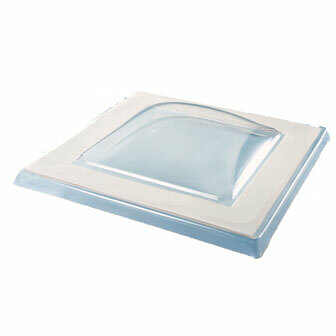 To assist compliance with Part L, Ariel Plastics recommend installing no less than triple glazed Mardome rooflights which achieve a U-value of 1.8 W/m²K and comply with the requirements of Part L of the Building Regulations.